Personalised Plaque Ordering Advice 10cm wide, 2.5cm high, perfectly sized for our bases. 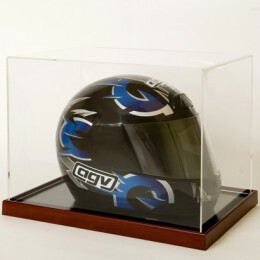 ..
Acrylic Helmet Display Case with choice of wooden base in Mahogany, Light Oak, Black or Silver. 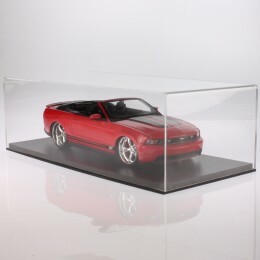 ..
Acrylic Display Case with contemporary black Primo solid base.. Beautifully crafted and sized b..